This article contains one major spoiler from the book and some vague comments about the first half of the first season of the TV series. If you haven't read Outlander or don't want to know anything about what's ahead on the show, consider yourself warned! ...So that when she loses it and then later on chooses not to go back to it that it's a genuine dilemma, a genuine loss. I suppose you could argue that in the books, he's quite thinly drawn. But we've tried to build him up, so it's a genuine dilemma for her." It makes sense, when we consider the shift from book to TV. In the book, even as we see Claire developing romantic feelings toward Jamie, we know she loves Frank and misses him, because the story is told from her perspective. Out of sight doesn't mean out of Claire's mind. But how do they relay that with a TV show? Including more Frank might help develop that part of Claire's story and help add a bit of depth to the choices she has to make. "He's talking to police and trying to come to terms with his wife disappearing off the face of the Earth. It's the furthest away from the books, but it's a good thing." 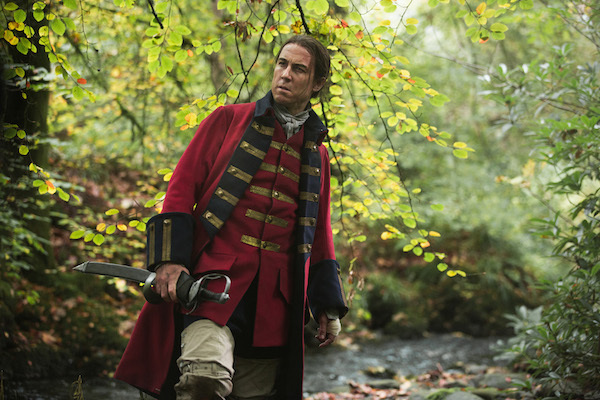 Tobias Menzies is also set to play Frank's ancestor, Black Jack Randall, a not-so-nice British Army Captain whose path crosses with Claire's. While we know Frank to be an educated, relatively mild-mannered man, Tobias Menzies teased another side to Claire's husband that will be glimpsed in the series, and might reveal a hint of his ancestor's temper. Menzies says we'll see Frank "sort of fraying," as he deals with Claire's disappearance, and there's an "odd flash of Black Jack within Frank." He calls it an ancestral echo. It sounds interesting! We'll have to see how this plays out in the context of the series. I'm especially excited to see the contrast of Frank and Jack with Menzies performances and that mentioned flash of Jack in Frank as he tries to cope with Claire's disappearance. 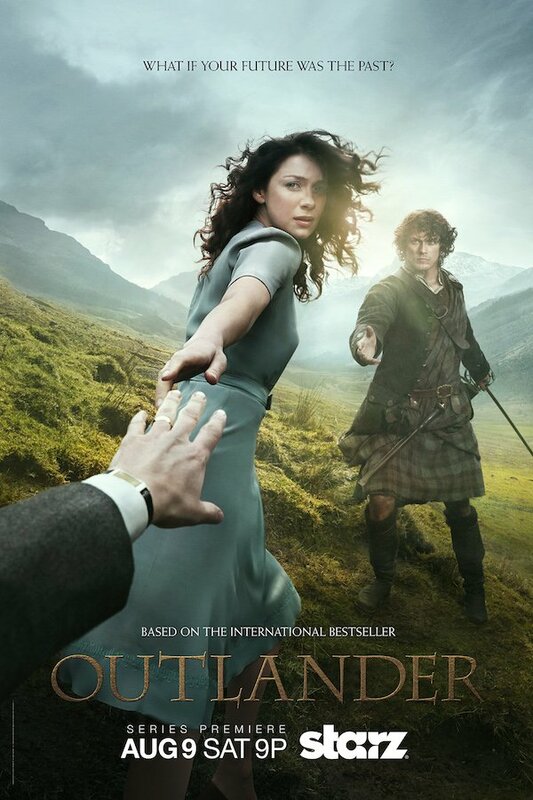 Outlander premieres August 9 on Starz. Find out what Diana Gabaldon had to say about choosing World War II for Claire's backstory here.